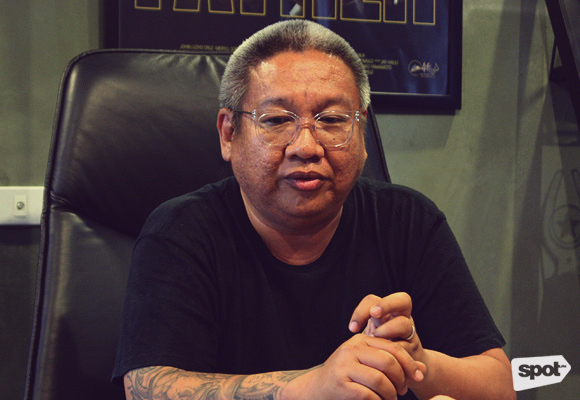 The acclaimed director on the MMFF, his vision for Darna, and On the Job becoming an online mini-series. (SPOT.ph) In an industry brimming with love teams, cheesy theme songs (usually sung by said love teams), and comedies laden with product placements, some directors choose to stand out from the pack. 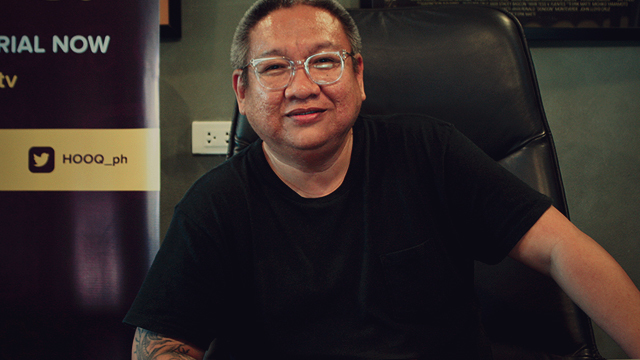 One such director is Erik Matti, the masterful hand behind gripping dramas like 2013's On The Job (screened at the 2013 Cannes Film Festival) and 2015's Honor Thy Father (screened at the 2015 Toronto International Film Festival). 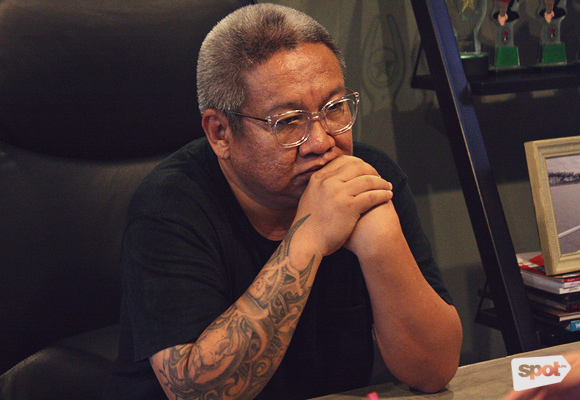 His films often portray the darker, more jaded corners of Philippine society and the human psyche, but it turns out the filmmaker is quite the opposite in person. He enters the room with an eager, jovial smile and gamely chats about his independent production company, Reality Entertainment. Even his office is full of personality, from little knick-knacks that dot his shelves full of the accolades he has earned over the years to walls lined with movie posters that hail from varying genres, such as The Big Lebowski, From Here to Eternity, Contagion, and A Clockwork Orange. Our personal favorite? A nameplate on his desk that simply reads, "I'm a f*cking professional." 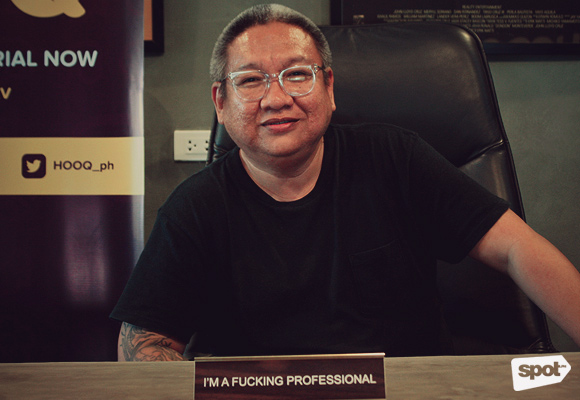 Erik Matti sat down with SPOT.ph to chat about On The Job becoming an online mini-series (set for release late this year), his penchant for doing dark and gritty films, and his new vision for the upcoming Darna movie. What made you decide to venture into online streaming? There were two reasons behind that. One was that right after we did On The Job, we realized that we opened up a story that could expand a little more. Marami siyang puwedeng puntahan, maraming kuwentong puwedeng i-explore. It could talk about relevant issues in the country, so we were just looking for an avenue by which we could explore that. The second reason is that online streaming allows every creative person or filmmaker to explore certain ideas. The freedom is so much that it could only be exciting. So when HOOQ approached us for On The Job, we immediately said we were interested. It's easy to just talk about "gawa tayo sa online," but once the parameters start to set in, mare-realize mo, ay hindi pala siya gaanong free. But when we sat down with HOOQ, they were really interested in the whole story of On The Job. They just ran with the idea of the movie as something that can be explored freely. It's exciting for the Philippines because we've had the entry of similar platforms such as this over the past two or three years. But no one really went out to announce they wanted to do online original material. And of course, the pressure and the burden to make it really good is there, but the excitement to be the first one to come up with something original online is really exciting. Out of all the films you've done, why did you go with On The Job? I think it has a universal appeal. Yes, it's grounded in the Philippine context but the story of corruption, survival, and redemption...these are stories that resonate with audiences internationally. They're not just planning to show the series here; they're doing it in Southeast Asia and hopefully, they get picked up globally. How long did it take for you to conceptualize this series? 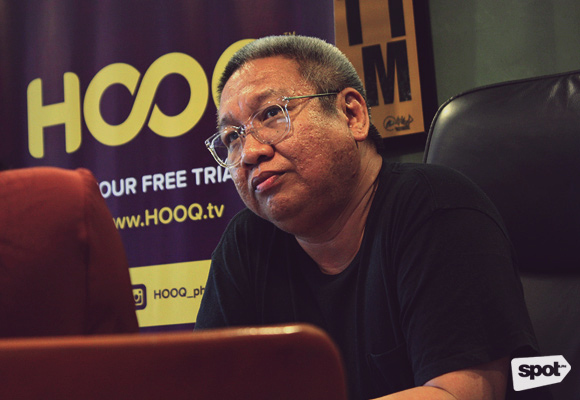 HOOQ allowed us a development period by which we could conceptualize the stories. We sent out options and pitched several stories with them. At the end, they agreed on five concepts and they let us choose which to start with first. 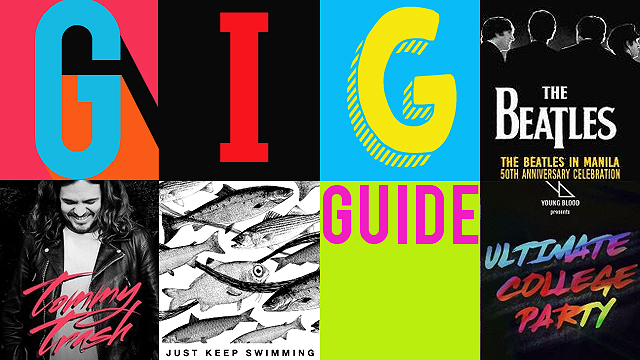 We picked one particular topic and that all happened last year. We also began developing which characters to focus on. In the film, it covers four or five major characters. With the series of six one-hour episodes, it allows us to explore more characters and which aspects we want to highlight. It's a tough balancing act, but it's good when you're trying to do something fresh and original. How much of the OTJ universe will we be seeing in the series? Is it a prequel? A sequel? When On The Job came out, audiences started asking us why we chose its title. The main idea that we grounded the whole film from is a standpoint of people working on jobs that require a lot of sacrifice. Beyond the controversial idea of prisoners being brought out to kill, there's a more universal idea that some jobs are not easy to work on. That's the idea we're bringing into the series now. We're picking a particular job—of course still keeping the prisoners angle—but aside from that, we're tackling a specific industry in the Philippines and pinpointing characters that are making some really tough decisions. We put them together, let them go through extreme conflict, and see who comes out alive. You left things pretty open for Joel Torre's character, Tatang, in the original film. Is there any chance of him coming back? We were exploring ideas around that. As of now, rather than overshadowing the entire concept by keeping a main character from the movie, we are exploring the prisoners plot in a new and different way. Tatang is such a strong character that if you see his face now in the series, everyone's going to think it's about him. We're still thinking about it. We are toying—still toying—with the idea that the events in this mini-series happens at the same time as the events of OTJ the movie. Will the new series still be based on a true story like the original? We're still doing the same process as we did in the original film, actually. In the movie, I got the idea from a news item. This time around, it's the same thing. We're getting various true-to-life stories but now, we're focusing on one industry: the Philippine media. We've had this idea in mind for so long, simply based on some news items that we've read. Of course, it's a lot more relevant now. We just came from the presidential elections where the media played a major role. Ang ganda ng timing. Everything just had good timing. When the original film was shown the first time around, it was also around that time that the issue in Muntinlupa came out. It was just serendipitous, but it sort of made the film relevant [to the time]. With this one now, we picked the idea of working with the media a year ago, and we had no idea how huge the role media would play now. We had no idea how timely it would be now. Is there any chance we'll be seeing your other films headed to HOOQ as a series? Or maybe an entirely different story altogether? Well, we're trying this one out first. Of course, we'd love a series of partnerships between HOOQ and our company, Reality Entertainment. Our concepts are tough to sell in the mainstream market locally, but we've managed to keep on doing it over the years. Now, it's gaining traction and that's what we all wanted. Back then, we didn't have an audience. Now, we're getting audiences to look at films differently. We're hoping to keep on partnering with HOOQ on new ideas. How different is it to work on a series and on a film? In the case of mini-series that are being done worldwide, mainly in the U.S., they don't see much of a difference. They think of it as an extended movie. A lot of the big filmmakers who found it tough to produce their fresher ideas on film because of influx of superhero films are slowly moving into TV so they can explore their ideas. That's how we're attacking it now for On The Job. We look at it as a six-hour movie. A lot of your films are hinged on gritty, socio-political realities. How important is it for you to portray the darker, more cynical side of reality? The whole world is becoming politically correct. A lot of times, the political correctness is not necessarily because of benevolence. A lot of times, it's in the context of pushing for a brand or for more profit. The more I look at it and I see these things, the more I go the other route. [laughs] Why couldn't we have heroes that are flawed? Why couldn't we tackle the darker side of things and realize that there's an interesting story there? I'm drawn to the flawed and the gritty, and when that comes alive onscreen, it is as entertaining as any nice or inspirational, triumphant movie. On the way here to the interview, I was looking at several billboards along EDSA. They were talking about all the positive things in life, but beneath it is the name of the brand. It makes you question, "Is it really an honest statement for inspiration? Or is really just for brand building or pushing for profit?" You've worked with plenty of big talents in your films. What is it like wrangling such big personalities into your projects? It's tough. [pauses] We at Reality Entertainment want to work independently. We want to do the stories we want to tell but at the same time, we know the realities of this country in terms of entertainment. We know the realities of the industry. Our stories are already tough to sell, so we need to attract as many of the big names so that it gives the projects a little more profile. How do you as a director decide an actor is fit for a role? A lot of it has to do with the actor's personalities and whether they can embody the role, rather than just [act it out]. For example, in OTJ, we wanted the characters to be grounded upon real people who just happened to be in that situation. When I cast Gerald [Anderson], I only sat him down and talked to him. And I could see that he had that youth and that innocence, but he also had that recklessness and swagger that you saw in his character. Speaking of the industry, you've been quite vocal about your opinions on the Metro Manila Film Festival. How do you feel about all the changes that have been made now? I'm happy! [laughs] I'm happy and excited for us and for the entire industry. 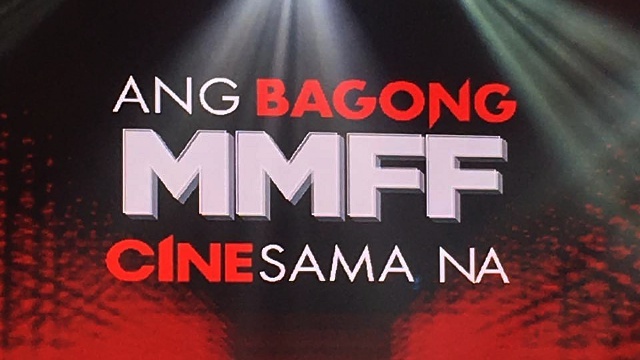 When we started making an uproar [about the movie Honor Thy Father's disqualification from the MMFF Best Picture category], we had no idea it would grow as big as it did. In fact, we didn't even have an endgame, so it's good to see how far it's come. Now, they're only accepting finished films as entries. That helps the industry. Because that's the only way you can judge a film. When it's just a script, it leaves your work open to interpretation. What you like on paper may not be the same when it's shot. A film can only be judged when you see a film, not the script. It feels good, like we have a real festival now. I'm very excited to see what happens. You're also working on an upcoming film for Darna. The previous films and TV shows have leaned a little more on the campy side, but what's your vision for the movie? We will try to be faithful to the spirit of the character but not in a campy way. [pauses] It's going to be more serious, but we wouldn't make it something too serious like the Batman trilogy. It still has to appeal to a wide Filipino audience and be popcorn entertainment. But we're not going to put baduy na costumes or cheesy action scenes tapos idadaan na lang sa jokes kasi walang budget. How about your approach on Darna as a character? She has to be a 21st-Century modern Filipino woman, you know, strong and independent. At the same time, she has her own struggles. She'll be tackling modern-day issues that are faced by everyday women, such as gender roles in society and how she sees herself. She has to be a tough woman who has a fierceness to her, but [still] has a strong charm. It's admittedly rare to see Filipino films tackle women's issues, particularly gender roles. Was this a conscious decision on your part? I've been accused of misogyny before. [laughs] No really, I've been criticized because a majority of my films only tackle stories of men, the struggles and lives of fathers, son, brothers...I was even told that I don't have enough female characters in my movies. So I guess you can say Darna is my way of saying "Hey, I understand the women, too." Have you found your Darna? We had one, and then we didn't. Then we had one, and then didn't. Pabalik-balik kami. [laughs] We have one now, but we don't know if it's the final say.